A fairly long whale. Greyish black or dark brown on top, white below. The different colours on the sides are clearly demarcated. The head is narrower to the front and more pointed than that of the blue whale, and on top of it there is the peculiar and prominent median ridge which detracts from its flatness. The dorsal fin is relatively high, or about 60 cm, usually curved backwards, but may also be triangular. The lower right jaw is most often white, whereas the lower left jaw is black. A distinctive colour pattern is displayed behind and above the eyes, in grey tones of varying darkness. The fluke base and the caudal peduncle are high and narrow, whereas the flukes are broad, yet finely shaped, with a median notch. The flippers are long and narrow and light on the underside. Fully grown females are 1-3 m longer than the males. The spout is a straight column, 4-15 m high. 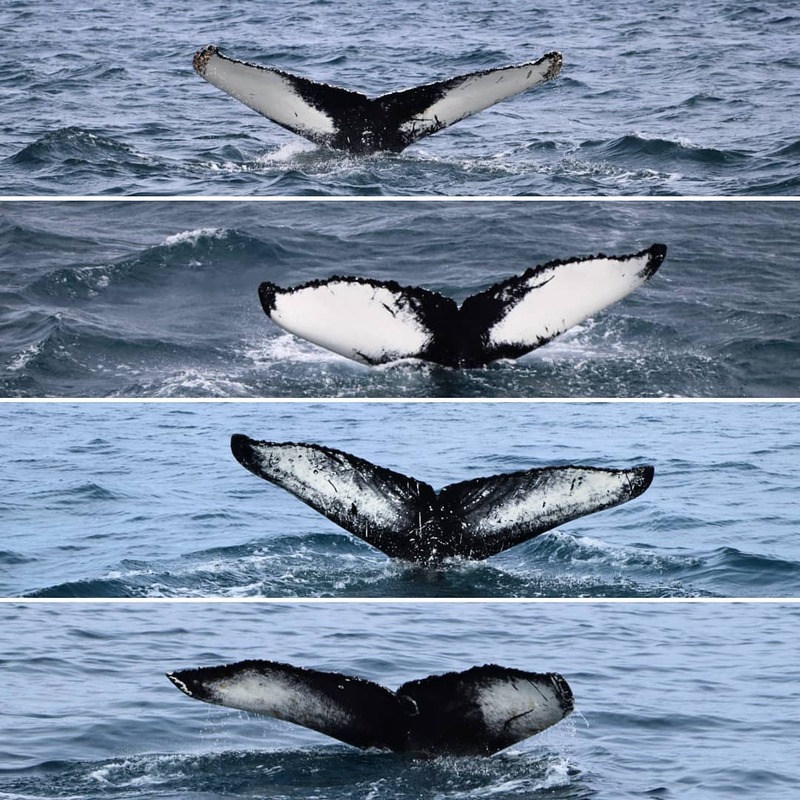 The snout surfaces first and then the dorsal fin, just after the whale has blown. 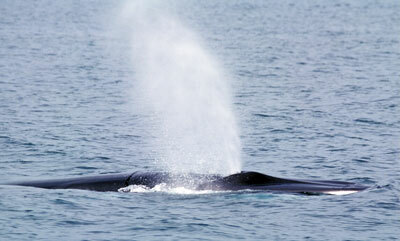 Fin whales usually travel slowly, but are capable of sprints of up to 30 km per hour. Often they dive for only 3-8 minutes at a time, but may remain under the surface for longer periods on some occasions; in which case they blow several times, and finally the back is sharply humped before the animal begins the deep-dive which lasts for 10-15 minutes. They do not usually raise the flukes above the surface when diving. Fin whales are filter-feeders, taking in nourishment by gulping water into their mouths then allowing this to filter away thus trapping their prey which they then swallow. Occasionally they may breach. Fin whales are solitary travellers, or join small schools comprising only a few animals. Text and distribution map: Sigurður Ægisson. Photo: Photographer unknown. 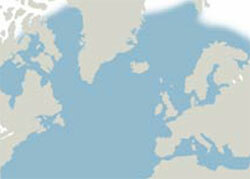 Owner: Marine Research Institute (Iceland). 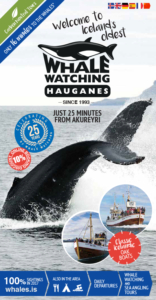 For a more detailed information see the book ‘Whales‘, by Jón Baldur Hlíðberg and Sigurður Ægisson (Forlagið, 2010).